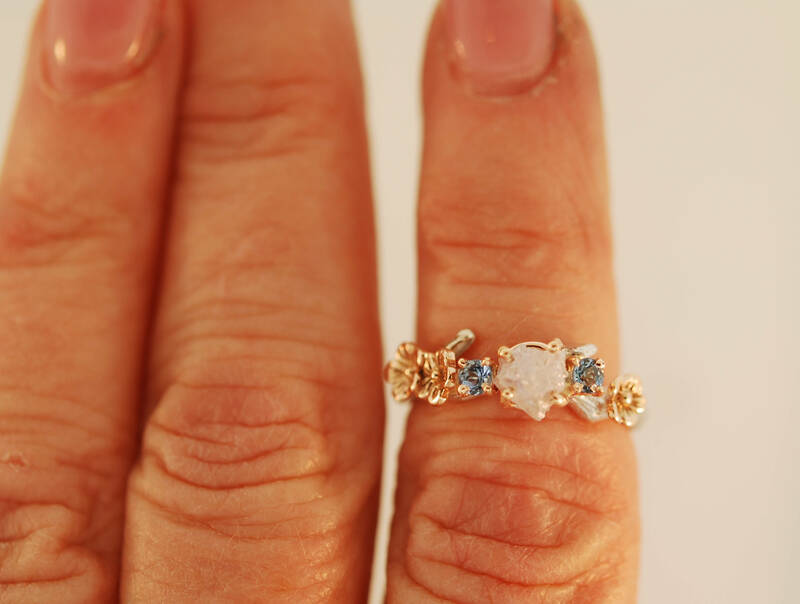 This cherry branch ring features two aquamarines set between a raw silver white diamond. 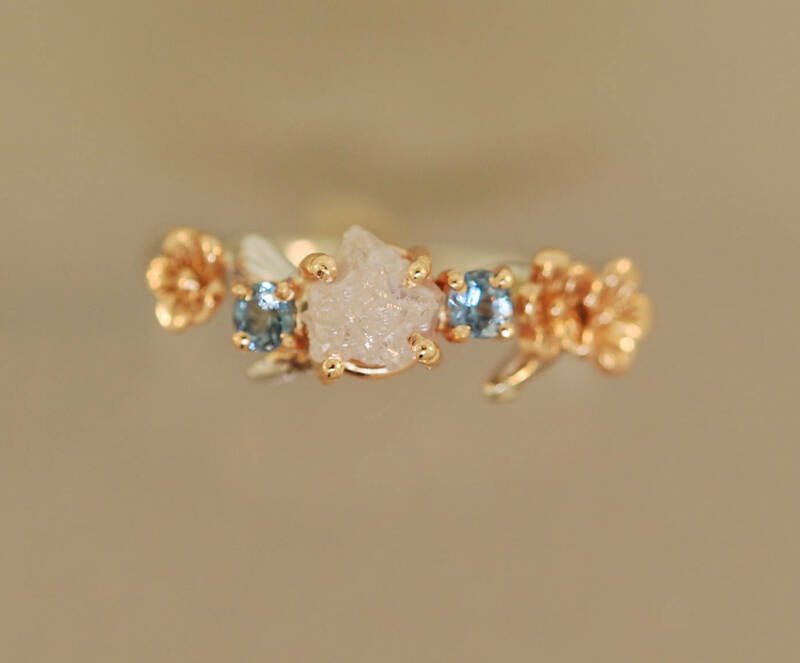 The lovely blossoms are solid 14k rose gold as are the settings for the aquamarines. 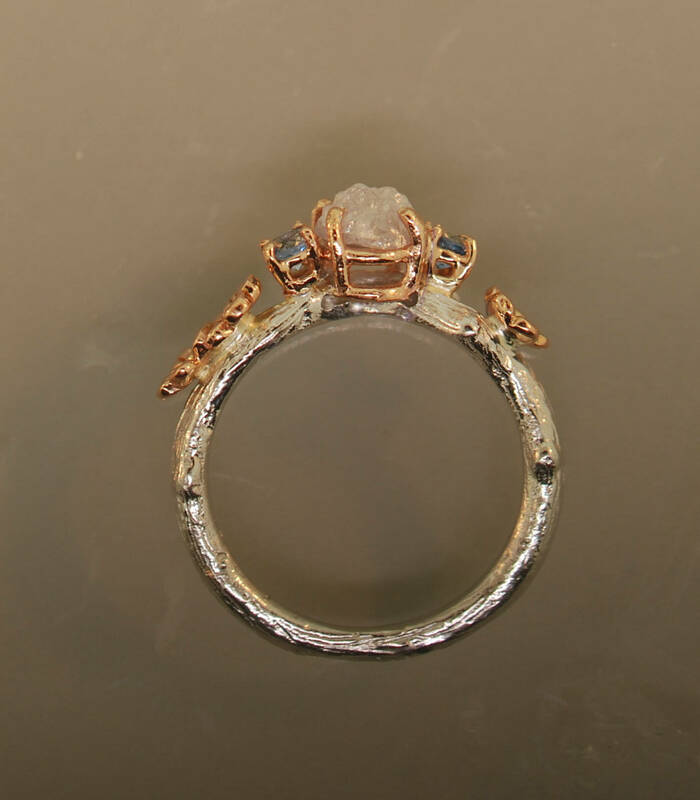 This ring makes a wonderful alternative wedding ring. 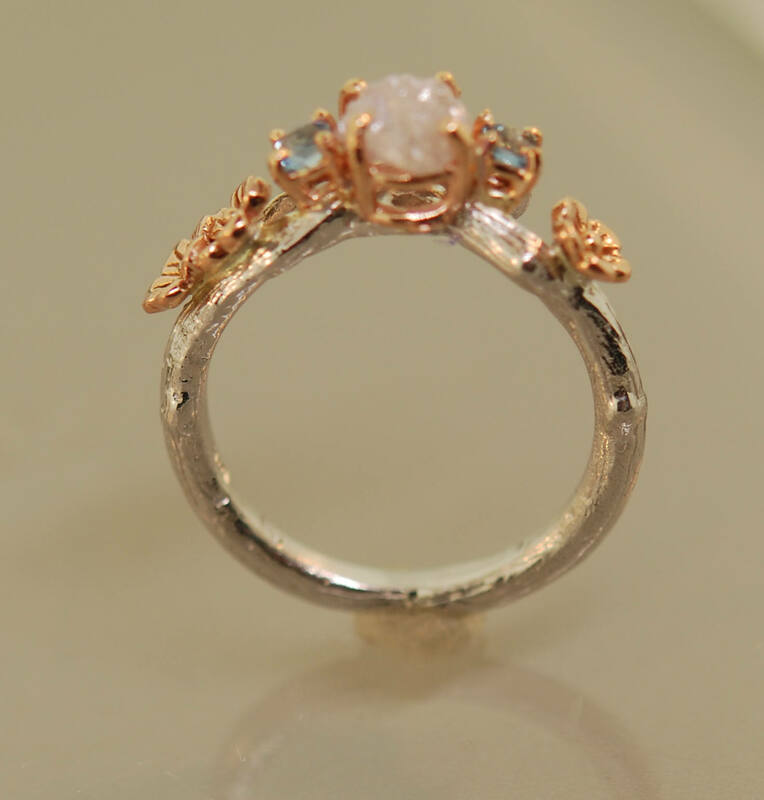 The blossoms and settings are solid rose gold and the color will not wear off as with plated rings. The band is sterling silver. I can also make the band in white gold 14 karat. This option is available from the drop down menu. If you prefer other combinations please email me as they are available. The setting and flowers will be 14 karat rose gold for both of the band choices . The diamond is around 5 mm, each diamond is unique and will be in the same quality as photo.